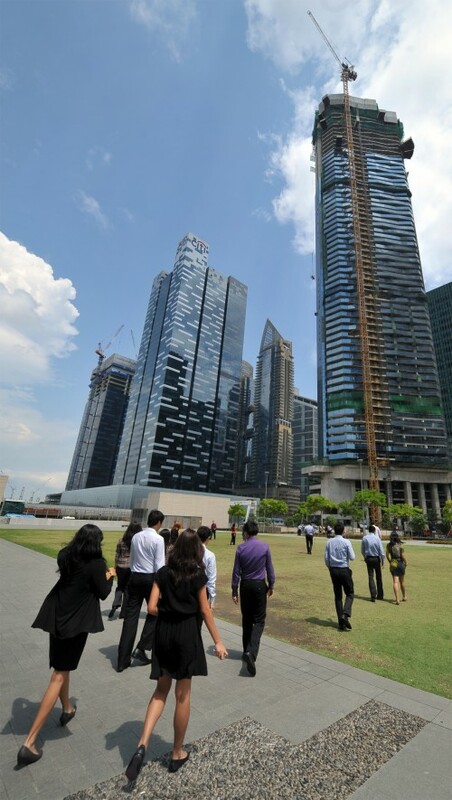 GLOBAL engineering consulting firm Aurecon is expanding its Asian regional headquarters (HQ) in Singapore and looking to triple its headcount here to about 200 in the next five years. While the investment amount could not be disclosed, the firm said it was "substantial" and would go towards expanding office space, staff count, as well as advisory services. The expanded HQ, located at Gateway East in Beach Road, will become a hub for engineering expertise in transport, property and infrastructure development, that Asian clients - increasingly from China, Myanmar and Mauritius - can leverage, said Aurecon. "The demand for engineering consulting services has grown exponentially in Asia over the past 20 years, on the back of rapid urbanisation and an expanding middle class. This heightened demand has spurred many innovations, making Asia a technology leader in many engineering fields," Anthony Barry, Aurecon's general manager for development and operations in Asia, told BT. He added that Asian clients are becoming more globally influential, and are now investing in Africa and vice versa, for example. To grow its Asian business over the next three years, Aurecon said it is counting on organic growth and targeted mergers and acquisitions. The establishment of a regional HQ in Singapore is also part of a localisation drive that will see more Asians being appointed to key business and support functions, so as to better serve the needs of clients here, the firm said. "Singapore offers an excellent investment environment: a strong talent pool of quality professionals, business-friendly ecosystem, and strong connectivity with the fast-growing regional markets," said Mr Barry. Since 2009, Aurecon has expanded to over 26 countries in Africa, Asia-Pacific and the Middle East, and it employs some 7,500 staff across 11 industry groups from construction and defence to transport and manufacturing. Its major projects in Asia include Fusionopolis and The Sail at Marina Bay in Singapore; the City of Dreams Casino in Macau; and Pha Lai 2 Power Station in Vietnam.